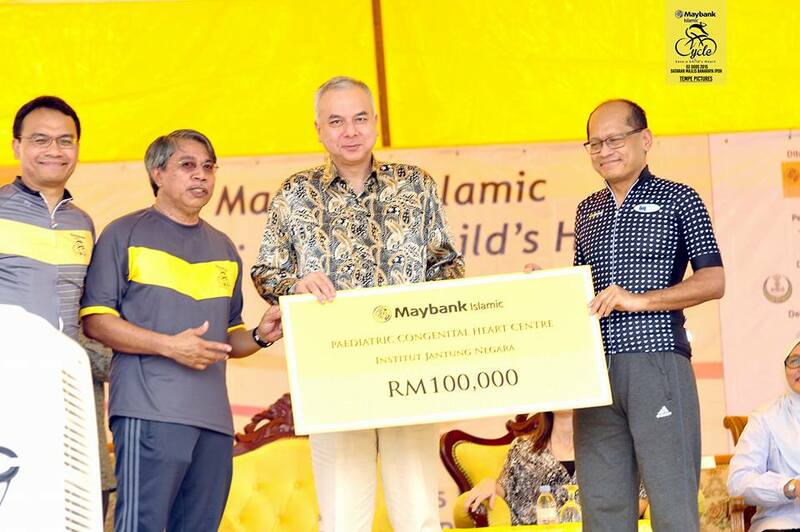 Maybank Islamic Bank organised its second cycling event to raise funds for paediatric heart patients from Malaysia and in all Asean countries where the Maybank Group is present. Held in collaboration with the National Heart Institute (IJN), the event raised RM50,000 in 2014. This year’s event was held in Ipoh, the capital city of the state of Perak. Ipoh is far enough away from Kuala Lumpur to warrant an overnight trip. My biker chick and I stayed at the Regalodge Hotel. Chosen specifically for its close proximity to the Dataran Bandaraya Ipoh, where the ride would start and end. 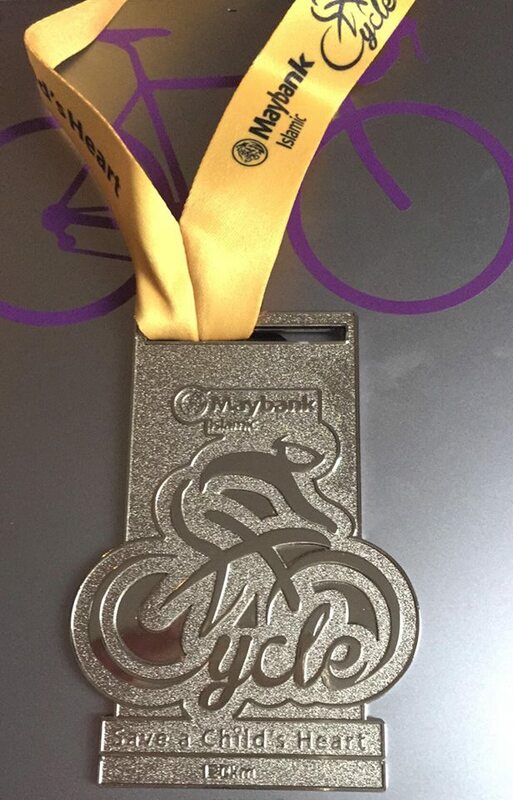 So close that I was able to walk from the hotel to the Dataran Bandaraya to collect my goodie bag, buy water, 100 Plus and some ice on the way back to the hotel, put on my cycling clothes, and ride back to the Dataran. All in the span of 45 minutes. I got back to the Dataran just as the Sultan of Perak, Sultan Nazrin Muizzuddin Shah, and his consort, Raja Permaisuri of Perak Tuanku Zara Salim, were arriving. I for one was grateful to their Royal Highnesses for their punctuality. Which meant that the 120km ride started on time at 7.30am. 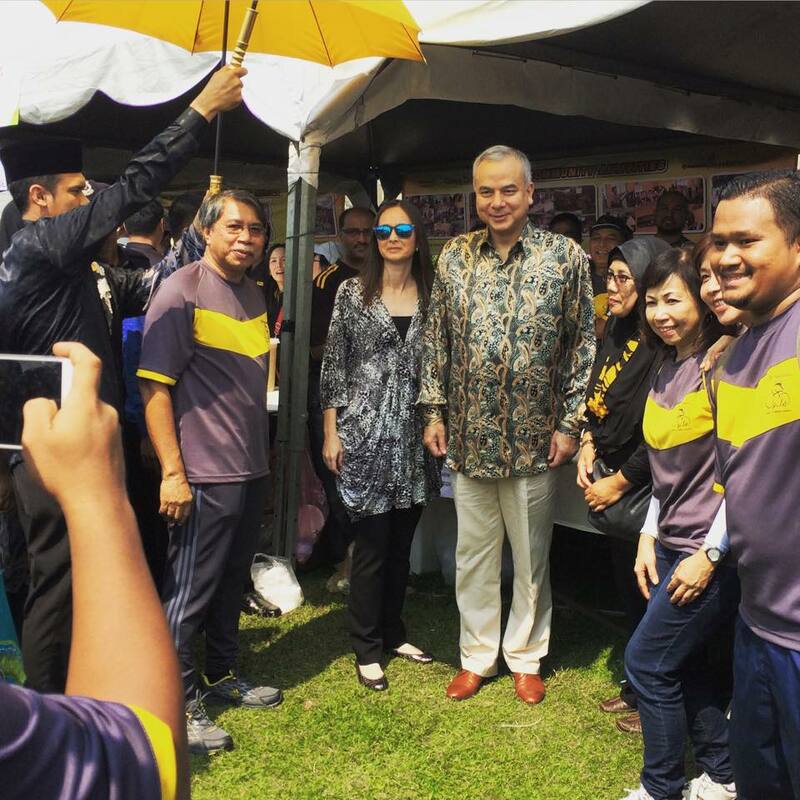 The Sultan rode in the VVIP’s 10km event as the rest of us headed east and then north out of Ipoh. As befits a charity event that was not a race, the route was not particularly challenging. There are some serious hills around Ipoh, but the organisers kept us away from them. This was a well-run event. There were lots of ride marshals on motorbikes and in cars to ensure that the route was safe. There was one nasty-looking crash after about 40kms that took down several members of one group. It happened on a straight stretch of road, and was likely caused by too much speed coupled with poor bike-handling. It got hot by mid-morning. No surprise there. Fortunately the rest stops were well-stocked with water. And there was ice-cold cendol on sale at the Dataran after the finish. The best three ringgit I spent all day! The ride raised RM100,000 for the cause. Double the amount raised at the 2014 event. So it was smiles all around, including from the royal couple, who stayed for the cheque presentation at 12.30pm or so. As it was a major bank that organised the event, there were lots of sponsors who contributed. So there were goodies in the goodie bags. And the lucky draw after the event had some impressive prizes on offer, like a Garmin 1000. You have to be in it to win it though, and I never am. I am always much more keen on getting out of the heat. 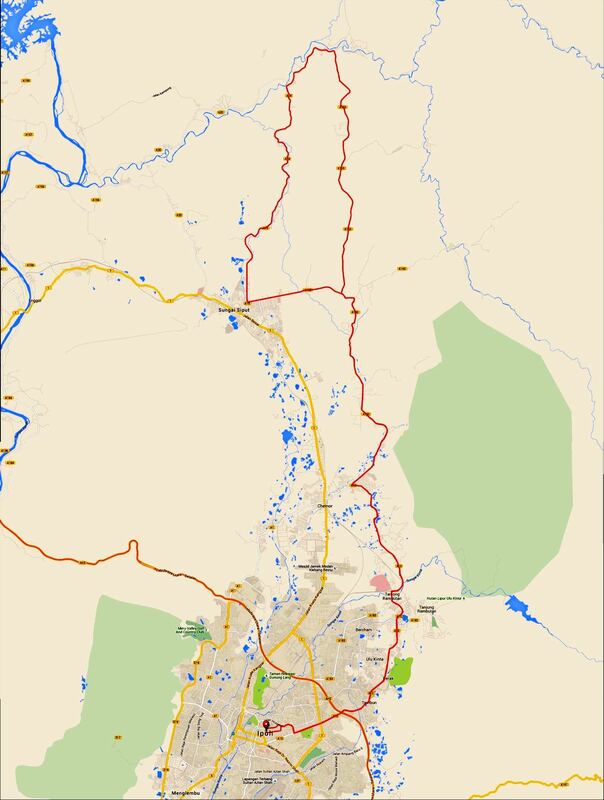 On this day that meant riding the 400 meters back to the hotel for a shower and a dose of air-conditioning. 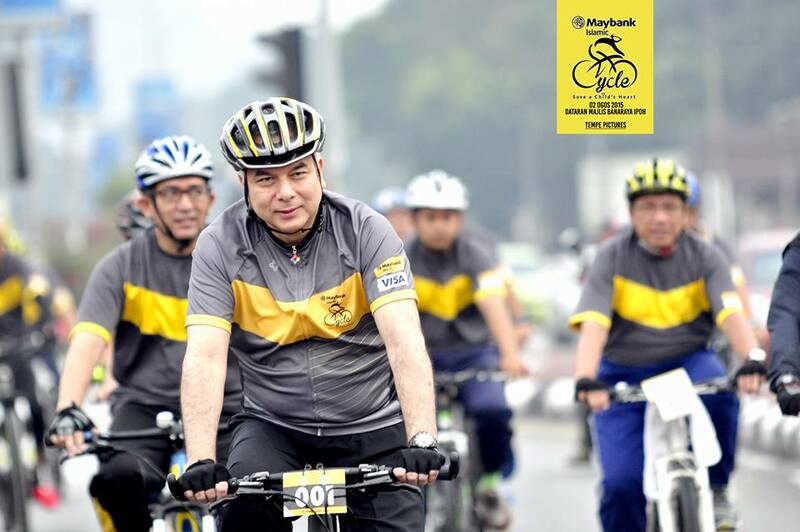 Posted in Cycling in Malaysia and tagged Ipoh, Maybank, Save a Child's Heart 2.0. Bookmark the permalink.